- KidneyBuzz.com Official Webpage dedicated to sharing your personal story, engaging potential donors, and directing them to learn more about getting tested to see if they can be a match for you! Hundreds Of Successful Selfless Donations. Could you be next? Sign up below. Currently the Kidney Transplant List is overcrowded with excessively long wait times and very limited follow up. This causes frustration, demoralization, and leads many patients to give up or believe that dialysis is their only very long-term/lifelong option. The Find A Kidney Donor Program is an online advertising effort that seeks to connect Chronic Kidney Disease and Dialysis patients with selfless kind-hearted potential living kidney donors who would not have known about their need or the process of donation otherwise. According to Cornell University, the primary advantages of Living Kidney Donation are (1) that recipients receive a transplant far sooner than is possible by waiting on the list for a deceased donor kidney. In addition, (2) there is a higher success rate after Living Donor Transplantation and the kidney lasts longer than a deceased (dead) donor kidney. There are millions of eligible donors in the United States, you just have to reach them. University of California Los Angeles (UCLA) said that if only 0.5% (one half of one percent) of adults in the United States donated a kidney, it would wipe out the Kidney Transplant Waiting List FIFTEEN TIMES. Sign up below and let us help you begin your effective search today. We do it all and then check-in to update you on progress. Biography- We develop a fully customized biography in order to effectively share your story. Social Media - We use social media to attempt to rapidly grow your online presence and viewership. However, given the viral, short-attention span nature of social media, it is often not enough to fully educate potential prospects. Offline - We help however we can with your offline strategies including giving your insight on things that have worked with others. How to possibly approach inevitable challenges in the donation/transplant process, insights on sign language as necessary. Regular Updates - Weekly or Bi-weekly progress updates. Phone updates available upon request. FREE Guide to help handle objections and concerns about altruistic Living Kidney Donation. FREE Guide to engage potential altruistic donors offline. No contract and you may cancel your subscription at any time. Stop Waiting & Start Meeting Possible Selfless Living Donors! KidneyBuzz.com partners with Stripe. Stripe is one of the world's best, most secure online payment processors so all of your information is protected. Click here to learn more about payment security. Mark (left) Pictured with donor, Jimmy (right). 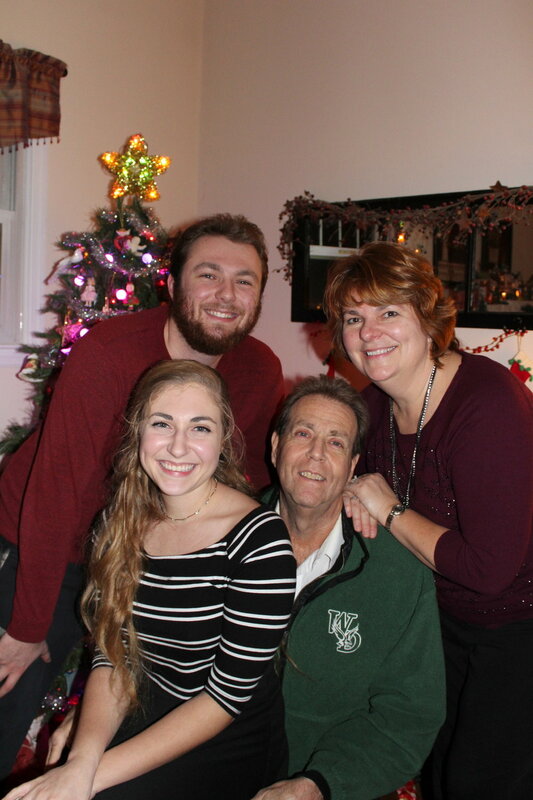 Click here to read about how Mark connected with his Living Kidney Donor. - One (1) of every eight (8) patients that KidneyBuzz.com works with finds a likely match. - A majority of patients that work with KidneyBuzz.com gain potential altruistic (selfless) quality interest from possible Living Kidney Donors. - New studies conducted by John's Hopkins show that programs such as the Find A Kidney Donor Program increase donation rates by as much as 50%! - The Kidney Transplant Waiting List has doubled between 2000 and 2016. - More than 4,500 patients die every year without ever receiving a call from the Kidney Transplant Center for a match. Research shows that patients have many reservations and social barriers to asking their loved ones and potential altruistic strangers to get tested for a Kidney Transplant. This is likely due to the stress of being sick, a lack of understanding of the implications of Living Kidney Donation or a feeling of guilt from asking for that kind of commitment from another. By having KidneyBuzz.com who has the knowledge of social media and online presence, this burden can be removed from the patient and his/her story and need for a Kidney Transplant can begin to gain awareness. KidneyBuzz.com uses unbiased information which addresses concerns and offers support to both patients and donors in making the decision about Altruistic Living Kidney Donation. Yes, there are many potential donors who aren't aware that living donation is an option. In fact, if only 0.5% of U.S. adults donated a kidney then the waiting list would be wiped out 15 times over, according to Dr. Jeffrey Veale (UCLA Transplant Surgeon). Our job is to help selfless individuals educate themselves about our clients' needs and that they can safely donate altruistically so they can make a thoughtful decision based on all of the scientific and medical information as well as first-hand testimonials of recipients and donors. New studies conducted by John's Hopkins show that programs such as the Find A Kidney Donor Program increase donation rates by as much as 50%! “The short-term response was incredibly dramatic, unlike anything we had ever seen before in campaigns to increase the organ donation rate. And at the end of two weeks, the number of new organ donors was still climbing at twice the normal rate,” said study leader Dr. Andrew M. Cameron. This is a very high success rate so it affirms that this program greatly helps those looking for a Living Kidney Donor. NO! Donors are never propositioned or paid to donate. This is a highly effective, tailored outreach program that is done on your behalf to identify as many potential selfless living kidney donors as possible until your find a match. The team educates and converts interest by using specific optimization strategies, tailored language, along with other quality tactics that have proven successful and are impossible to know unless you have worked with thousands of patients like we have. No. Most patients who attempt to find an altruistic donor on their own via an online campaign are met with minimal results and seldom success. Just posting a Facebook Page is not enough. You have to have social media, a customized website, connect with the correct audience, create effective content and much more to engage and convert seriously interested selfless donors. That is where we come in! We have helped thousands of patients realize progress and success. Give it a try! Unfortunately, we have to pay for the time, management, and expertise necessary to provide you with an effective program. Free Find A Kidney Donor Programs would put us out of business. Yes of course! KidneyBuzz.com has become the fastest growing (and one of the largest) Chronic Kidney Disease tailored resources. We are also one of the most trusted resources in the Chronic Kidney Disease Community and reach nearly 65,000 Facebook Friends (click here) with 160,000+ individual visitors every month. If you would like to talk to someone in person, call (949) 715-8788. Yes, this program is 100% legal. We are using the power of Social Media to empower YOU. Everything KidneyBuzz.com does abides by the bylaws of the United Network for Organ Sharing (UNOS). There is no other service like the Find A Kidney Donor Program available for those wanting a Kidney Transplant. The closest alternative (matchingdonors.com) costs $600.00. Is It Difficult To Suspend My Program? Our customer service team makes it very easy to suspend your search effort - hopefully, because you have found a match! Just send an email to contact@kidneybuzz.com. Can I buy a single month only? Our competitors force you to sign up for long-term agreements. With the KidneyBuzz.com Find A Kidney Donor Program, you can sign up for only one month. Just let us know when you want to suspend. Send an email to contact@kidneybuzz.com. Ask your family members and friends to sponsor your first month. KidneyBuzz.com keeps the price for the Find A Kidney Donor Program more affordable than any other similar program available. For many, a Kidney Transplant is literally a second chance at life. Do not just discard a quality program that may be just what you need to help. KidneyBuzz.com also offers payment plans. Yes. We have successfully worked with people from around the world. No. If you think you are eligible to be listed, sign up today. You will have an active program and possibly a Potential Kidney Donor as soon as you get on the list. I think I am close to getting a Kidney Transplant because I have been listed for so long. Should I still sign up? The unfortunate fact is that you do not know exactly what number you are on your Kidney Transplant Waiting List. The selection process is quite complicated and in general is based heavily on younger age, severe medical need, and other characteristics that are out of your control. What you do know is that you are on a waiting list with over 100,000 other people looking for a Kidney Transplant and only 9,600 are available from a Deceased (Dead) Donor. Hence, you should try and do everything possible to improve your chances of connecting with a Living Kidney Donor. Living Kidney Donation is on the rise, lasts longer on average, and has much better outcomes than a kidney for a Deceased Donor. Disclaimer: KidneyBuzz.com offers no guarantees, but trying the program for one month is better than what you are doing now if you only have one or two people being tested for you. WARNING: It is absolutely against the law to have any financial benefit from organ donation. If you are paid, request to be paid, or pay anyone for any transplant you will be prosecuted to the full extent of the law. Violators of this criminal prohibition, can be subject to $50,000 fines and/or five years of imprisonment.